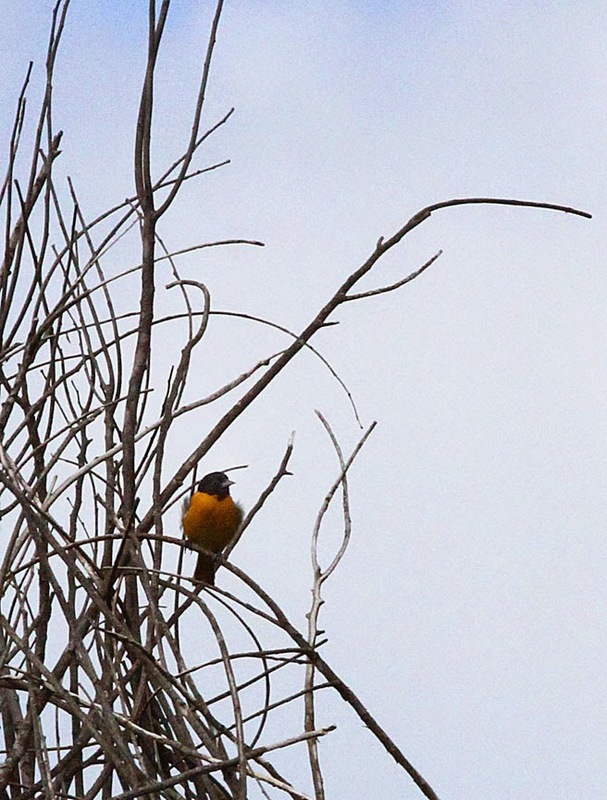 Today we birded at the North Springfield Reservoir, there's a variety of spots to explore with lots of trails. There's over 1300 acres of forest, field, wetland and two lakes. At the north end, in a pine tree, a pair of bald eagles had been nesting for a few years. But in late winter, a pair of great horned owls stole their nest! I'm not sure if the bald eagles found a new spot in the area or not. 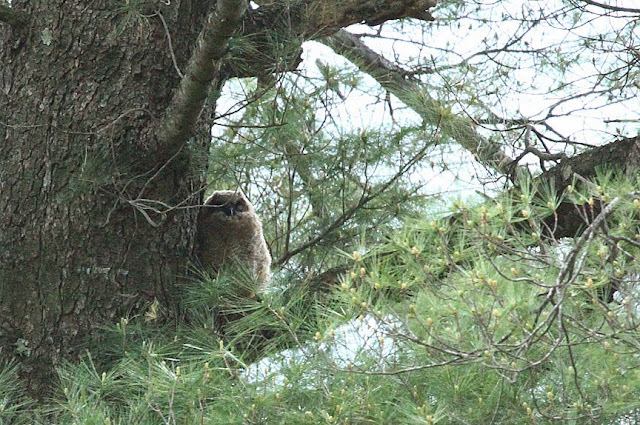 The fledged great horned owlet sat up against the tree trunk waiting for his parents to return with food. 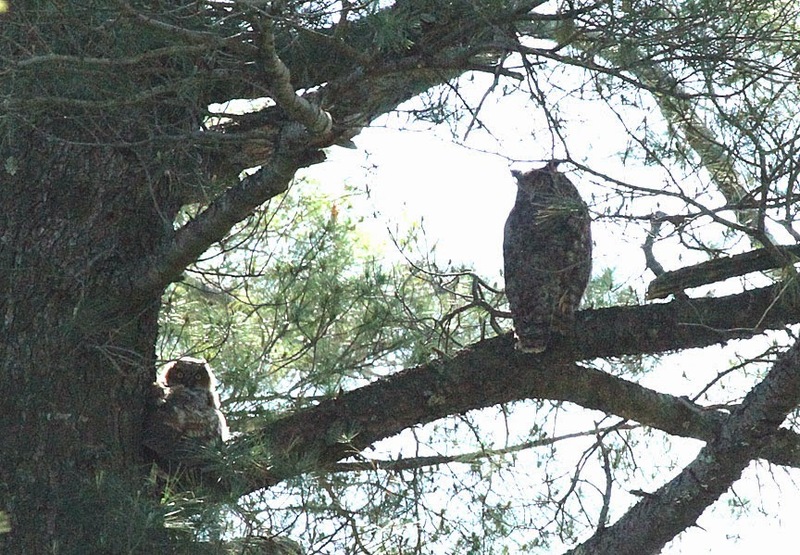 Young owls move onto nearby branches when they are six weeks old. 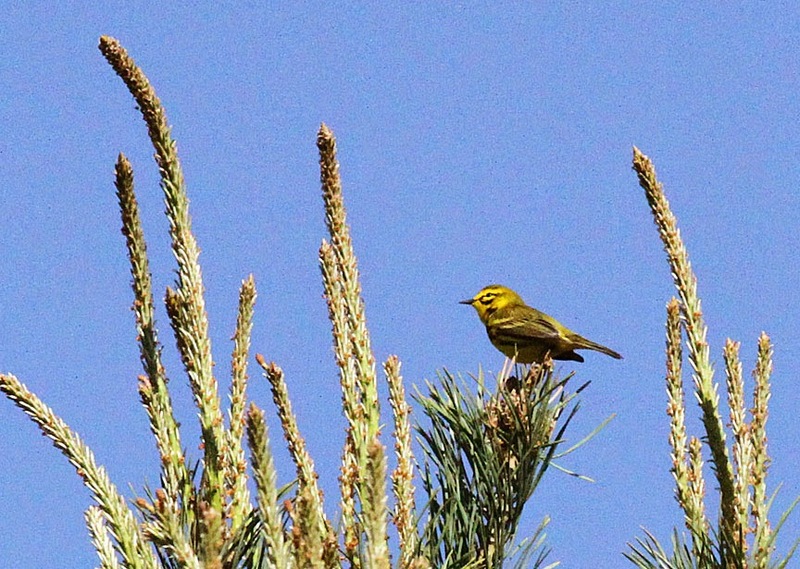 On a trail that follows the fence line of the Hartness State Airport, we always find prairie warblers. Not a bird of open prairies, this warbler nests mainly in young second growth scrub and densely overgrown fields. Not named for the city of Baltimore, but the 17th century Lord Baltimore whose heraldic, coat-of-arms colors they share. Regardless, the Baltimore oriole is the state bird of Maryland. One of the last migrants to return in the spring, this alder flycatcher was singing his "ray-BEER" song. This flycatcher is identical to the willow flycatcher and can only be determined by their song which is not learned but rather, inherited. 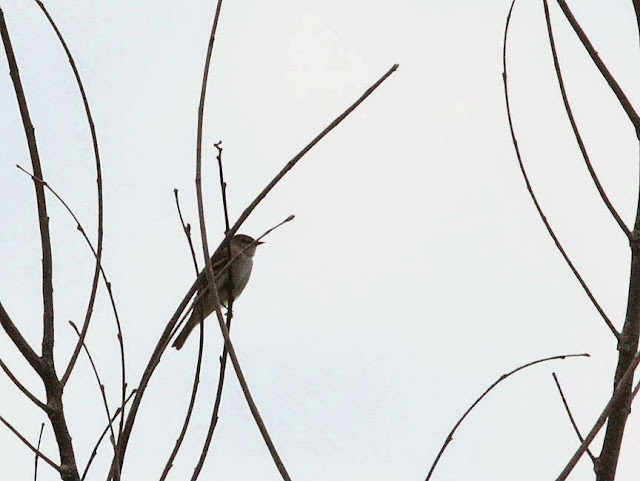 The willow flycatcher sings "FITZ-bew", we heard both species in the area.